Attract trade show attendees and encourage them to invest in your company or buy your products or services with custom displays designed and developed by Philadelphia’s preferred graphic design company, Dynamic Digital Advertising (DDA). By offering comprehensive graphic design services, our clients based nationally and regionally in Pennsylvania, New Jersey, New York, Delaware, Maryland, and Washington D.C. are fully equipped with a winning strategy whether their needs are small and local or large and across the world. At trade shows, you have only seconds to capture the attention of an attendee. In order to reap a substantial return on investment, your trade show display or exhibit must appeal to your target audience’s interest and effectively communicate who you are, what you do, and how your company can benefit them. From banners and table covers to videos and graphics, Dynamic Digital Advertising designs and produces the tools you need to market successfully. Stretch your imagination past the limits of competitors with tension fabric trade show displays designed and developed by DDA. Lightweight and easy to assemble, fabric displays are quickly becoming the latest trend for one-of-a-kind exhibits. DDA’s fabric displays are available in standard large format flat or 3D and can be assembled with a sturdy frame to support shelves, lights, literature holders, podiums, and grid wall attachments. 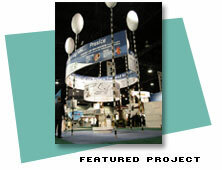 Convenient and flexible, panel displays are an economical option to attract attention and inform trade show attendees. Panel displays are available in several configurations and options including but not limited to shelving, storage, counters, slatwall/gridwall, and backlit boxes. DDA’s panel displays are available in a broad range of sizes, shapes, and finishes. Stand out and be seen with hanging displays from Dynamic Digital Advertising. Potential customers, investors, or partners will be able to see who and where you are from any location. Choose from an assortment of standard sizes and shapes or let DDA custom design unique styles that distinguish your company from the competition. Vinyl or tension fabric materials are available. Enhance your tabletop display with DDA’s practical, economical, and conceptual graphic designs. Not only are our designs aesthetically pleasing, but they also make transportation, setup, and shipping quick and easy. Various accessories such as lighting, graphic headers, and imprinted table covers with your company logo or image are available for your display exhibit upon request. Looking for a high-end, high-impact trade show display? Dynamic Digital Advertising specializes in designing and developing one-of-a-kind modular displays tailored to meet your exact requirements. DDA works with you to access your unique marketing and branding needs and then determines how to customize your modular unit to include other displays like hanging displays, tabletop displays, and more. At DDA Medical, an advertising agency offering medical marketing services, strategies, and ideas for the pharmaceutical industry, our innovative capabilities will enable you to reach physicians and patients alike. Recognizing the difficulty of standing out in a sea of competitors, we offer an integrated approach to global medical marketing that presents a clear, cohesive professional image, one which will appeal in both business-to-business and direct-to-consumer medical advertising applications. You’ve developed the drug that can change the world. Now, let DDA Medical help you stand out in the pharmaceutical industry by spreading the word in print, through commercial media, and on the Internet. Please click on any of the following links to explore the services that will revolutionize the advertising of pharmaceutical products: Medical Website Design and Development, Medical Print Design, Medical Video Production, Medical Animation, and Medical Trade Show Graphics. With Dynamic Digital Advertising (DDA), the hassle of video production is no more. 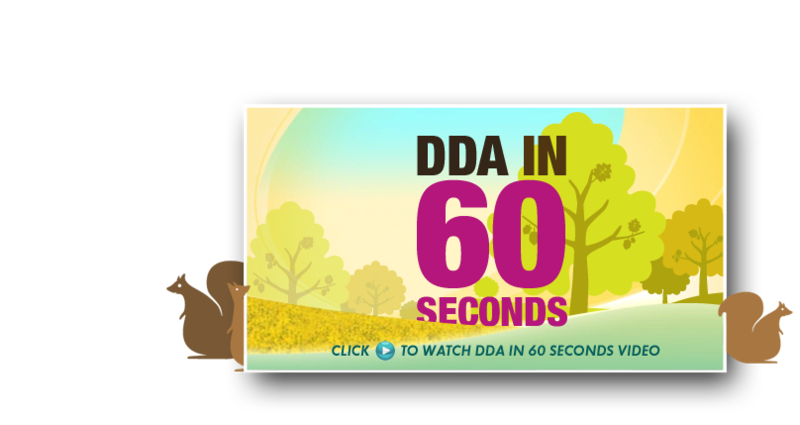 A full-service video production company and advertising agency, DDA can provide you with high-quality Corporate Video or Medical Video production that will catch the eye and hold the interest of your viewers. We feature an in-house team including scriptwriters, programmers, designers, and videographers, all working together to bring your project from start to finish. Whether you want full or partial services for your video production, DDA can meet any and all of your needs for scriptwriting, storyboarding, casting, video editing, CD/DVD design, and more. A pioneer in search engine marketing, Dynamic Digital Advertising has forged a revolutionary custom website design and website development process of fourteen critical steps. These fourteen steps build a well-structured, highly-stylized website designed to provide a targeted searcher with the exact information he or she wants as well as a high level of search engine optimization. The advanced search engine optimization allows the targeted searcher to find your website through a search engine such as Google, Yahoo, or MSN, while a well-designed website ultimately leads the searcher to become a customer. What's New in Trade Show Displays Today? Trade show attendance has dwindled over the years due to a number of reasons, such as increased Internet advertising. As a result, it's extremely important for companies to carefully plan out their trade show displays in a manner that is eye-catching yet informative. Dynamic Digital Advertising, Philadelphia's leading web design and advertising company, knows that a few seconds might be all a trade show display will get from an attendee. Our team of exceptional web designers, technicians, and graphic artists work hard to ensure that your display maintains an attendee's attention while clearly conveying your company's particular message. The Fate of Trade Shows: Gloomy or Still Going Strong?